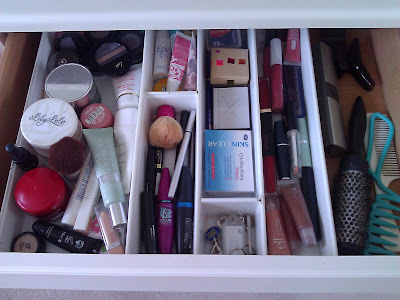 Clean Sweep: I'm back - and I've decluttered my make up drawer! 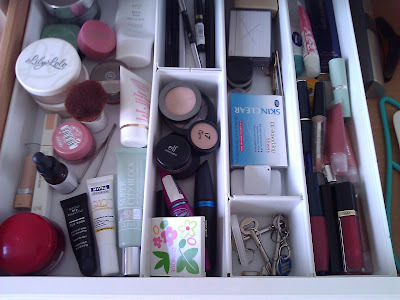 I'm back - and I've decluttered my make up drawer! Well, it seems that the Lemons family are finally getting themselves back on an even keel, after some wobbly months. So now I have a little bit more time to inflict my boring old blog on the interwebs! While I've been away, I've done a few little decluttering jobs that I always mean to do, and don't always get around to. One of them is my make up drawer. I'm not a girl with a lot of make (I'm a natural beauty ..... NOT ha!) and I like everything to be at hand in the shallow drawer in my dressing table. Here's a before - it gets all grubby and overloaded, as you can see. I took everything out - boy was there a lot in there! 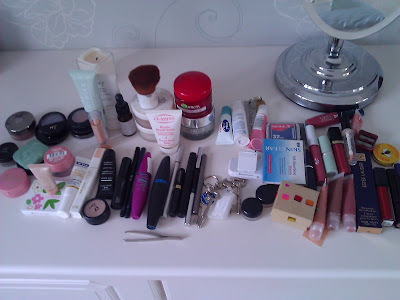 I managed to throw away an old mascara, make up brush and a few lipglosses that I had acquired. I put it all back in, organising it more logically this time, and ta da! 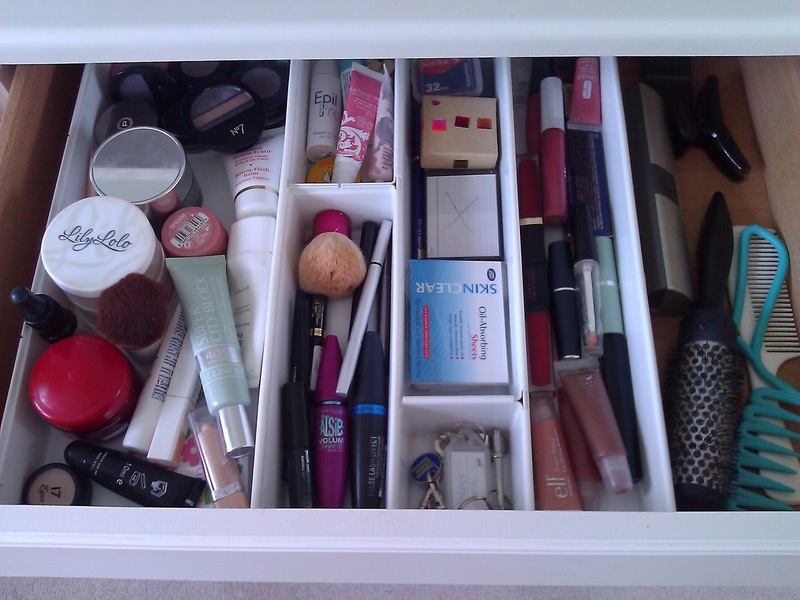 One organised make up drawer. Hello (from youlookfab.com). It's funny how much old makeup we keep and not use and then find 2 years later. I definitely need to sort through my some old products. Hello citygirl. You're right, I last did this about a year ago, and was surprised at the rubbish I had accumulated! You'v e done a great job with the drawer no need me to say that.Have you heard of Flylady? Check this wonderful site out and please give me feedback of what you think. If you know about her maybe we could help each other with the dicipline part. Ha! You know what I mean.I'm a declutter believer myself. It sounds like a relegious sect. LOL, I am quite evangelical about decluttering and organising. I have heard of Flylady, but I tend to follow my own principles. Thanks for your kind comments.